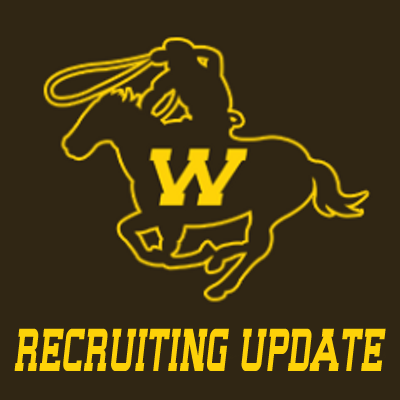 The Wyoming coaching staff has dipped back into the state of Oklahoma to land their third prospect from the Sooner state for the 2016 recruiting class. The Cowboys have received a verbal commitment from Ada, Oklahoma linebacker Shiloh Windsor. Wyoming had landed four prospects from the Sooner state in the 2015 recruiting class. The 6’3″, 220-pound Windsor started garnering interest from the coaching staff back in the spring where Wyoming running backs coach Mike Bath visited him during Ada’s spring football game. He joins fellow Oklahoman’s in quarterback Chandler Garrett of Mustang and offensive lineman Jace Webb of Hollis. Windsor received his offer soon after attending Wyoming’s satellite camp (Matt Walter Football Camp at Bishop McGuiness High School) down in Oklahoma on June 18th. After receiving his offer, Windsor and his family unofficially visited Laramie during the later part of June. Windsor selected the Cowboys over offers from Memphis and Ohio.